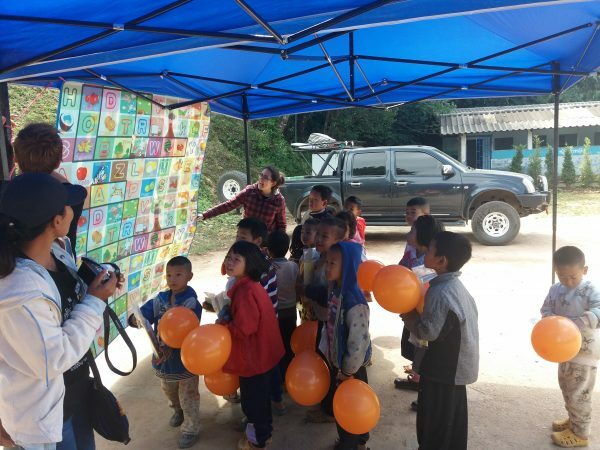 2018, February 17 – Over the past week Center for Girls brought our ”Mobile Child Rights” project to two schools in the Chiang Khong area. A crucial part of CFG‘s work is educating and empowering children in local schools and communities. The primary aim of this project is to inform the children of their human rights. What was taught and discussed in the schools was based off of the rights written in the United Nations Convention on the Rights of the Child, a treaty which set out the civil, political, economic, social, health and cultural rights of children. The four core child rights are: participation, development, survival and protection. 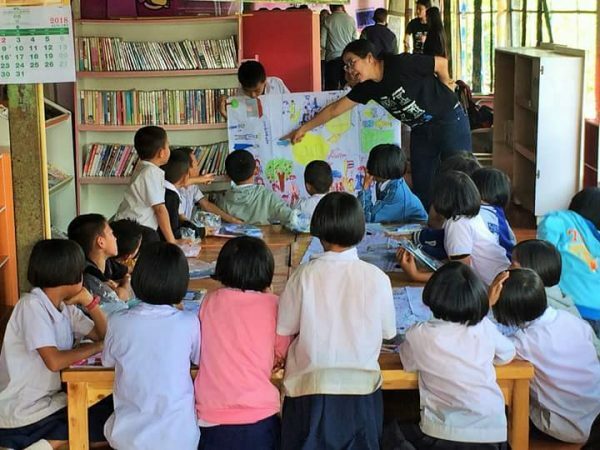 The campaign took place in the following two schools, Pha Thung located in Wiang Kaen and Thung Nai Noi situated in Wiang Chiang Khong. 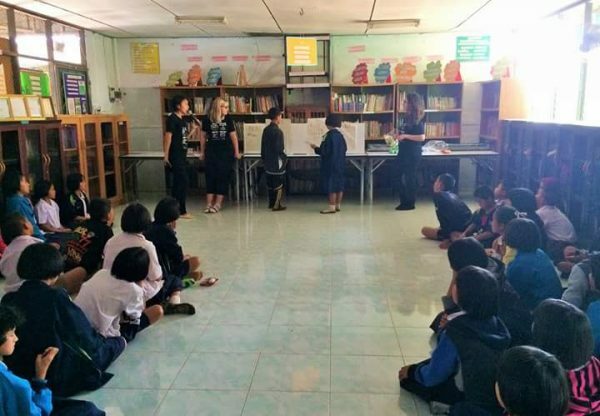 In both schools the volunteers began working with the children aged 10 to 16 years old, on the topic of emotions and their human rights. To educate these children the CFG team employed artistic activities and fun games. For example, the children drew what they thought certain emotions look like on a blank face. They enjoyed this activity a lot, it allowed them to be creative and gave them an opportunity to discuss each emotion and certain situations which can evoke specific feelings. Another activity called the ”slap game” involved the children competing against each other in two teams, to run and slap the answer they believed to be correct. 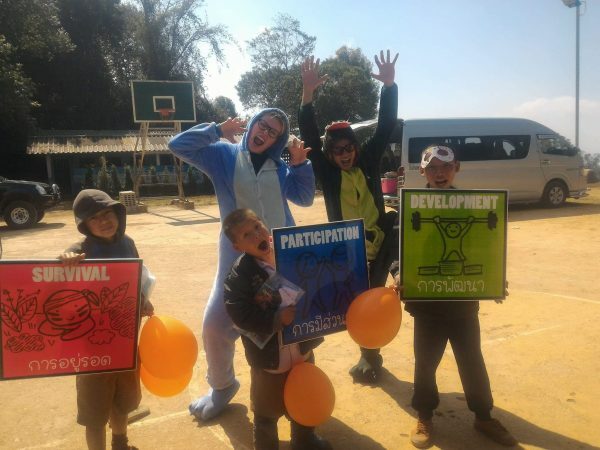 This game helped the volunteers to discuss child rights with the children in a fun, interactive way. During the game the volunteers proposed questions such as ”do you think it is appropriate to touch somebody without asking?”, this encouraged a discussion about consent and how to react when in an uncomfortable situation. 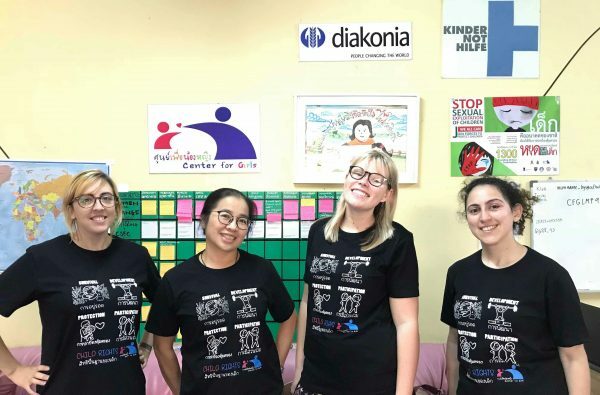 During this time the team from the HIV/AIDs prevention and awareness organisations Khiang Rim Khong and Kon Wai Sai worked with young people aged 13 to 16, teaching them about sexual health. 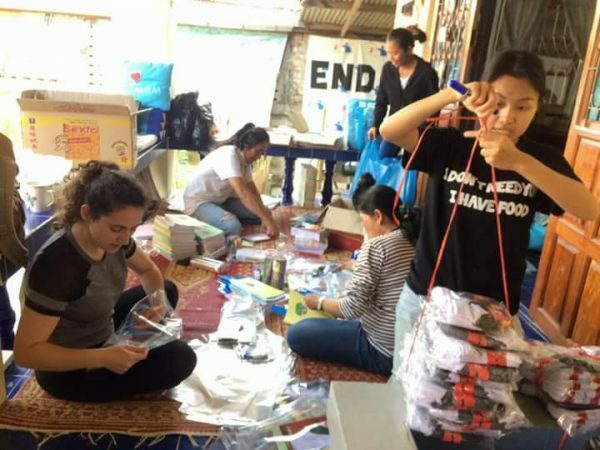 All the children that were reached during this project were given a pack which contained necessities such as socks, pencils, a notebook and stationary. 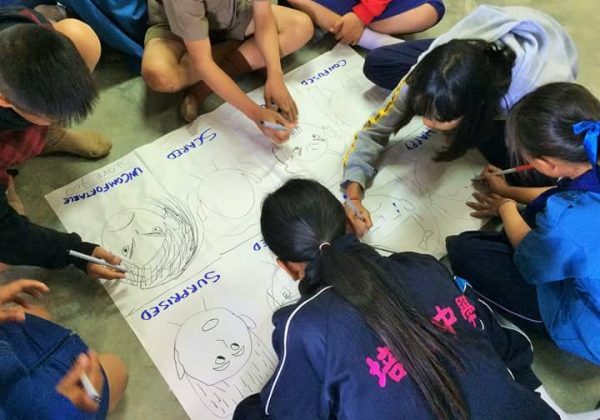 Center for Girls will be continuing our ”Mobile Child Rights” project in more schools in the Chiang Rai province over the following weeks.